My favourite training run is the Amalfi Coast: “vista mare” running, immersed in the perfumes and colours of the wonderful Amalfi Coast, thrills me every time. During my scenic running yesterday I stopped to take some photos at Marina d’Albori, not far beyond Vietri sul Mare. Marina d’Albori is the coastal area of the village of the same name, Albori, towering over 300 metres above sea level. However, you can get to the Marina straight from the main road. If you don’t get there on foot, as I did, you can leave your car or bike in the nearby car park, a rare opportunity on the Amalfi Coast. You can get to the beach down a steep set of steps: as you go down, you start to catch a glimpse of the shore and crystal clear sea. You can choose one of two beaches to enjoy the day: there are lidos with sunloungers, cafès and all other facilities. 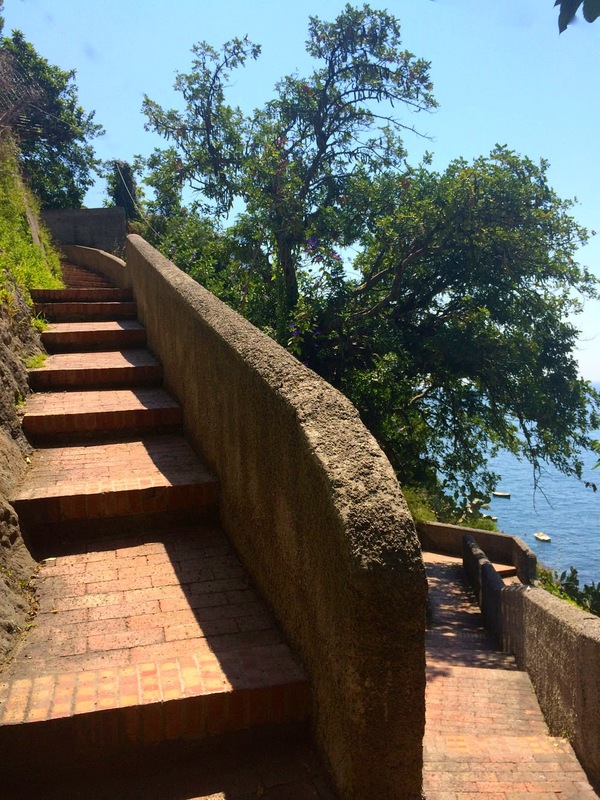 I couldn’t do it, my training meant that I had to keep going to Cetara, but if you find yourself in the area, stop for a swim at Marina d’Albori, a small quiet corner of the Amalfi Coast.